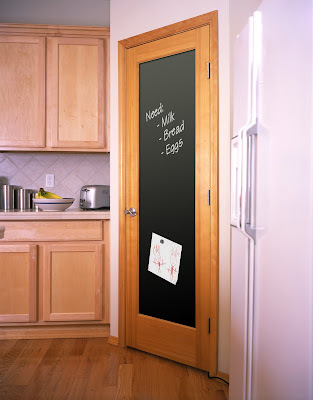 Chalkboard Panel Doors: "Simpson doors, they are magnetic chalkboard doors. Write on them, stick magnets to them, let your kids have fun writing on your door. These would be especially nice for people who don't have a ton of room to work with and need to utilize every inch of their living space." Except for the chalk dust that will cover the floor.